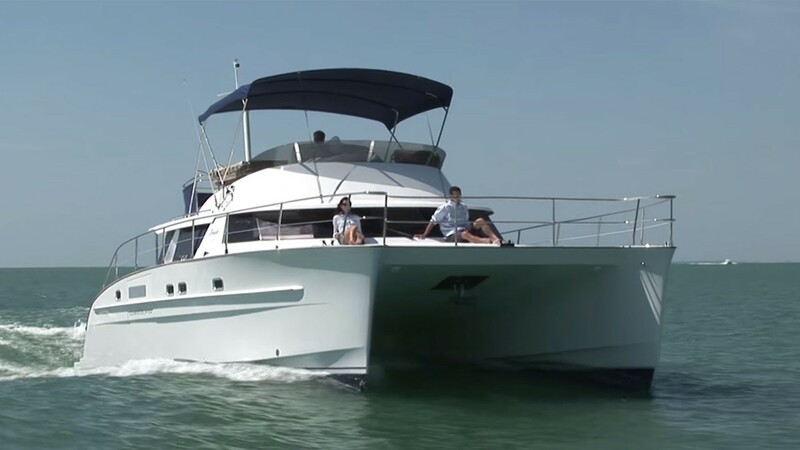 The Cumberland 46’ power catamaran has been designed from the Fountaine Pajot shipyard. Two powerful engines of 310hp allow this vessel to cruise with a maximum speed of 20 knots while the high hulls offer maximum stability. It is also ideal for beach and caves exploration as it has a shallow draught and could approach safely the hidden gems of the Aegean Sea. 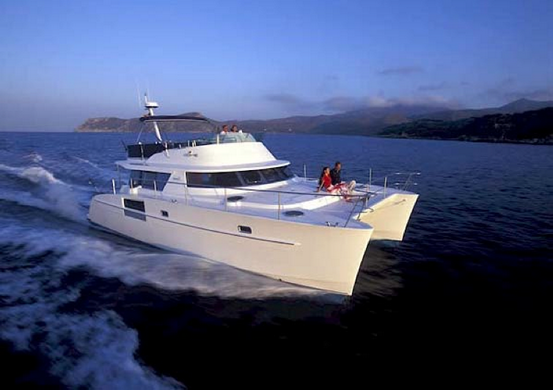 ‘Power Catamaran’ performs private tours in Santorini and the close by islands of Ios, Folegandros and Anafi. 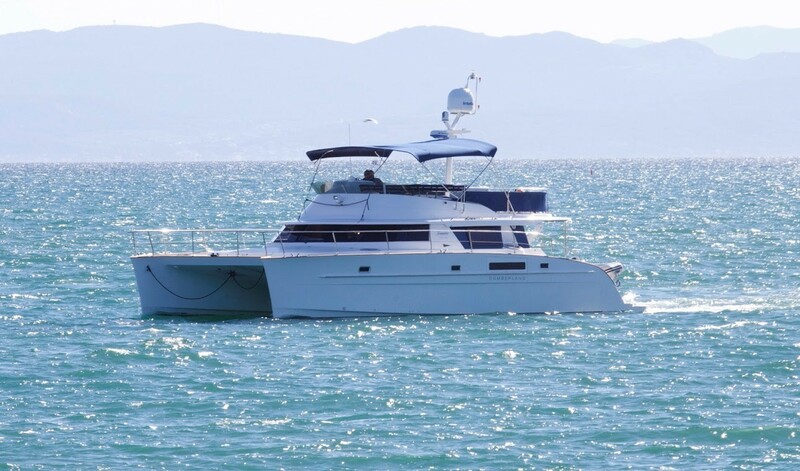 Vessel is also available for multiday charter to Mykonos, Paros , Naxos, Milos or any other island of the Cycladic cluster. 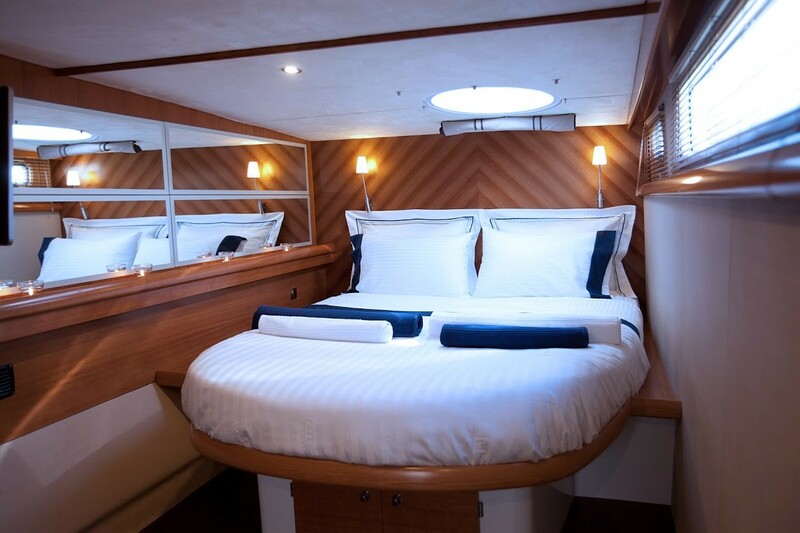 This amazing catamaran has 4 luxurious cabins with double beds. Two master cabins have en suite bathrooms while the other two share one bathroom. 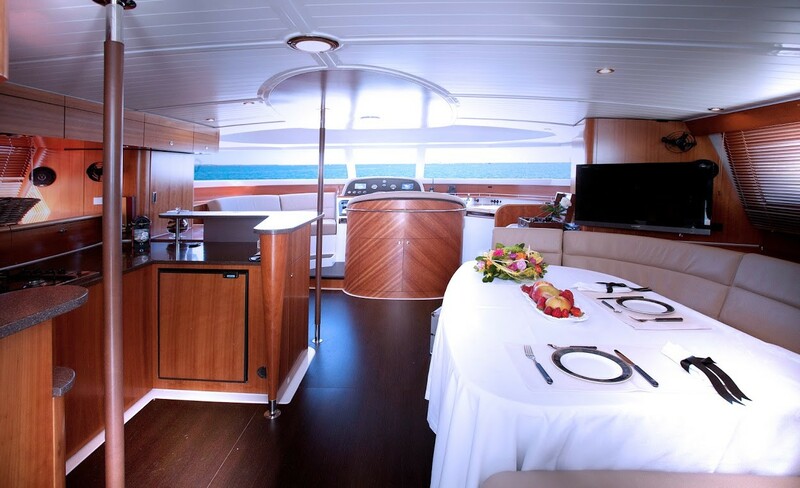 This magnificent "Power Catamaran 46'" sailing yacht with it's own captain and crew offers personalized private cruises for an intimate exploration of the beautiful historic Santorini archipelago and the surrounding islands. You can discover the hypnotizing deep blue waters of the Aegean and the Eastern Mediterranean Sea. 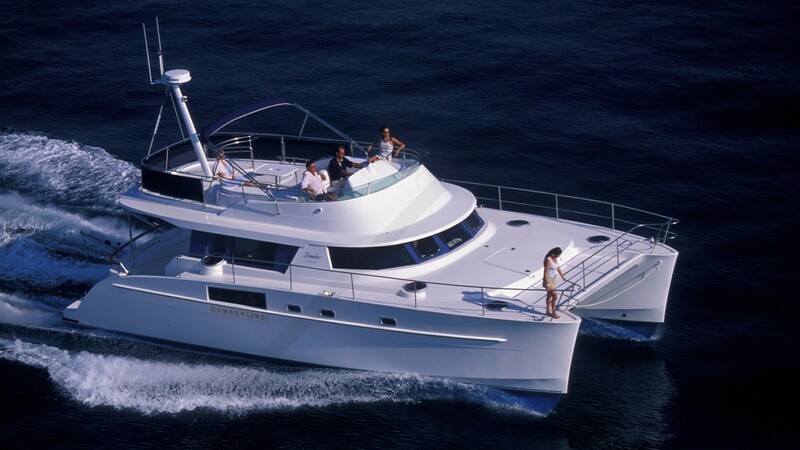 The "Power Catamaran 46'" , unlike the sailing catamarans, because it is powered you could tour Santorini faster and have more time to swim and hang out during your tour. You also have the the ability to choose where to sail. The captain will offer his proposal. 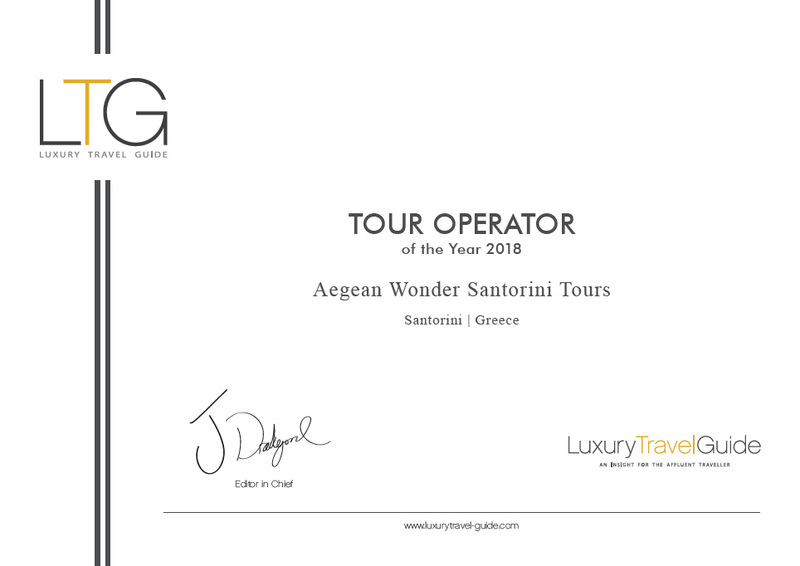 With the private tour you could visit Red beach, White beach ,Hot Springs, Volcano, Caldera , Thirasia and many more beautiful places which Santorini has to offer. Menu includes a different variety of meals pork, chicken, shrimp, vegetarian and different types of Greek salads. 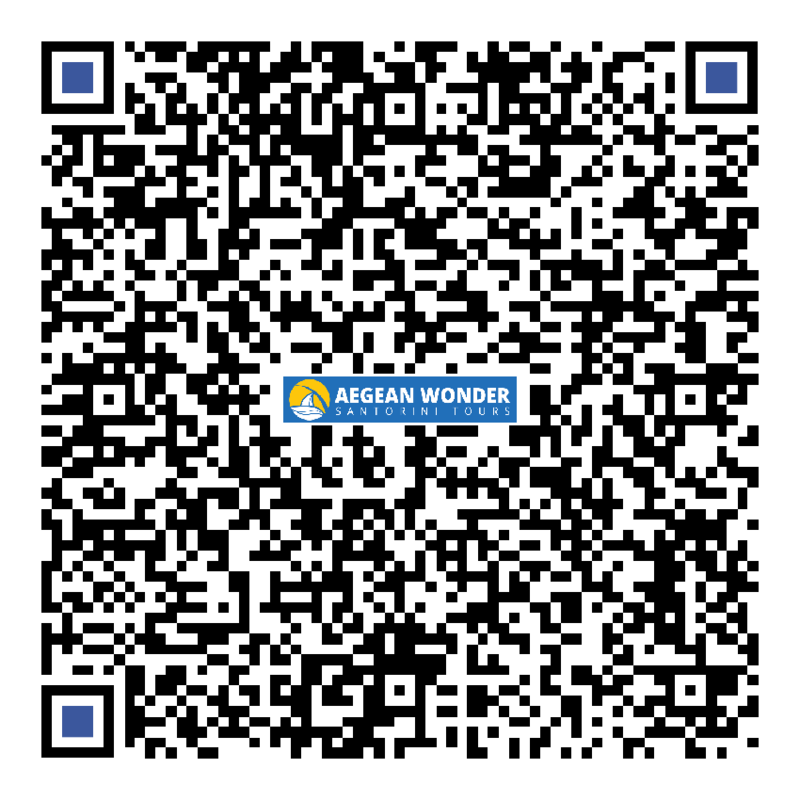 For additional trips ,hours, special events or other islands feel free to contact us.